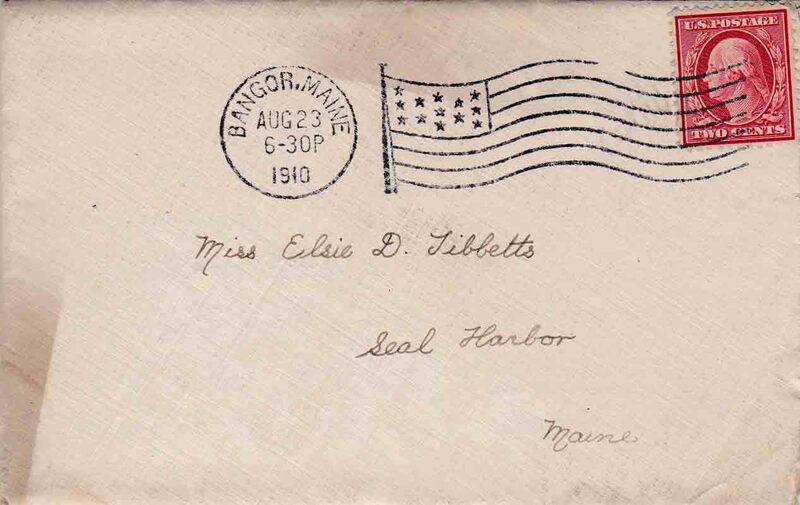 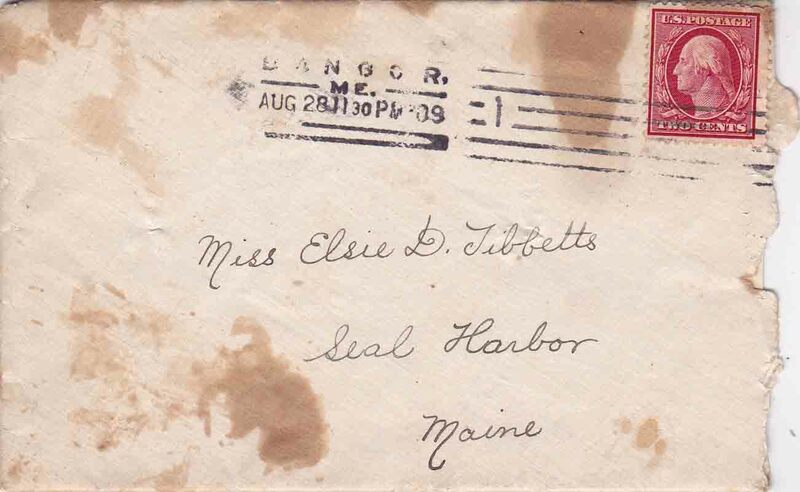 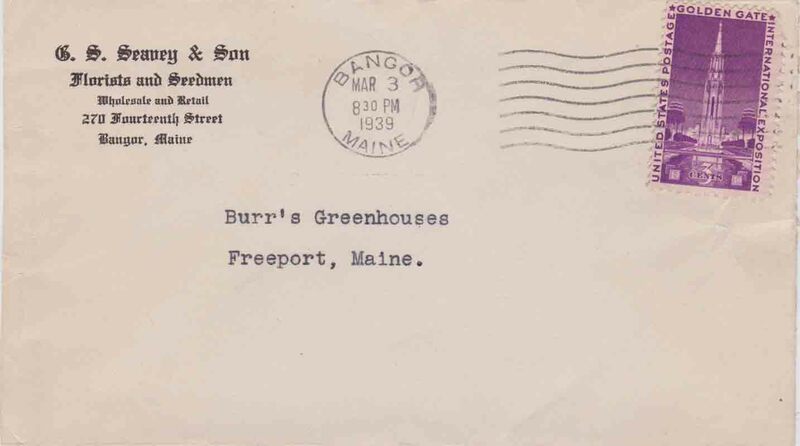 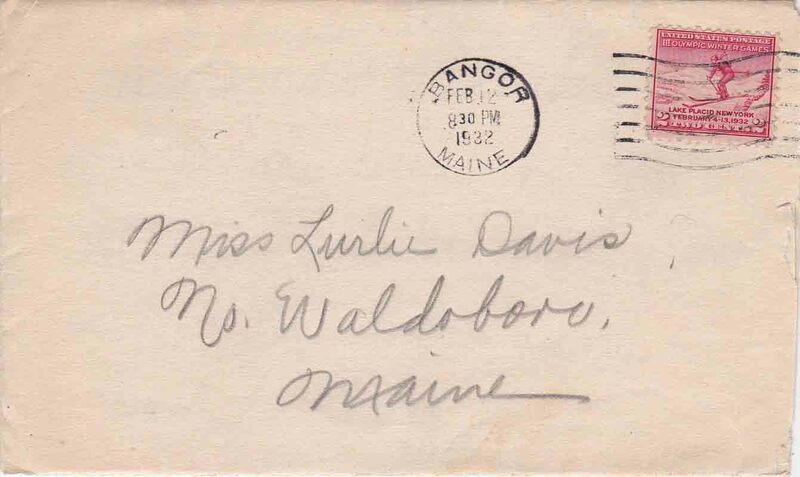 Thank you for contributions to this page from the Strout family collection. 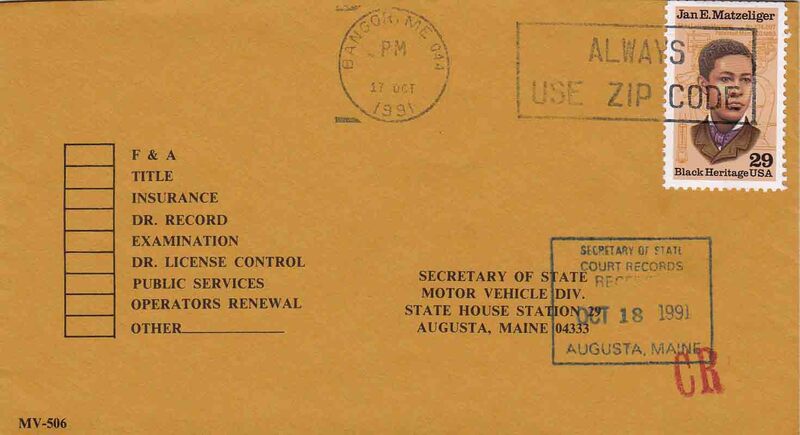 Dow Air Force Base Sta. 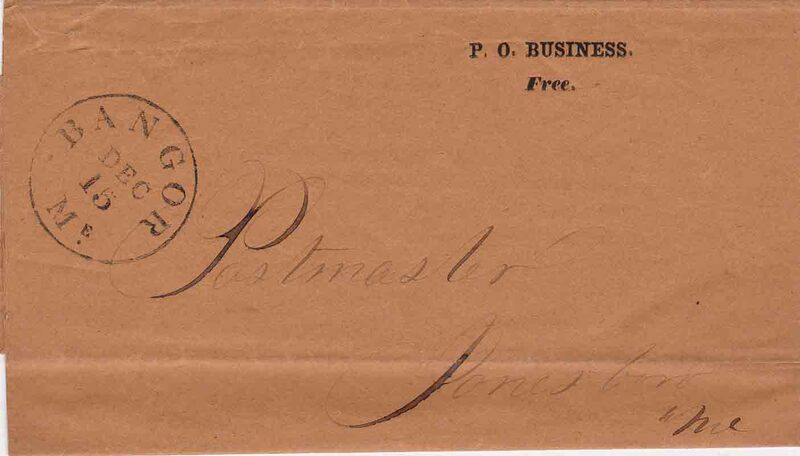 The outer circle of the postmark is approximately 26 mm in diameter; the inner, 13–14 mm. 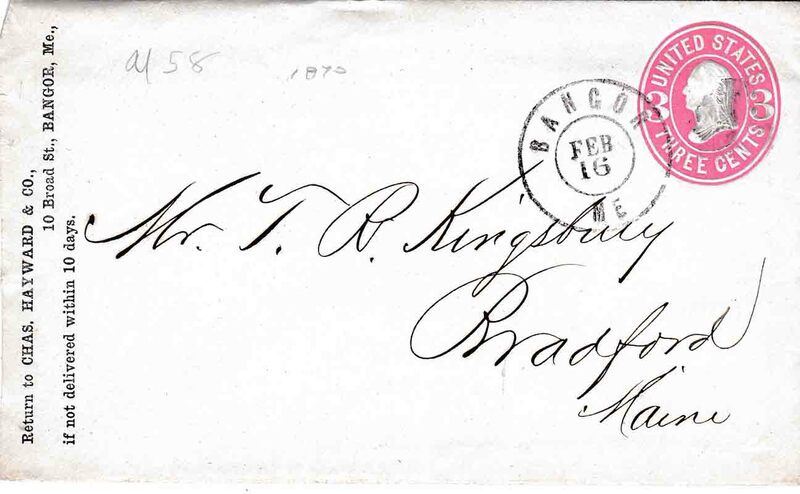 The circular postmark is 24–24 mm in diameter. 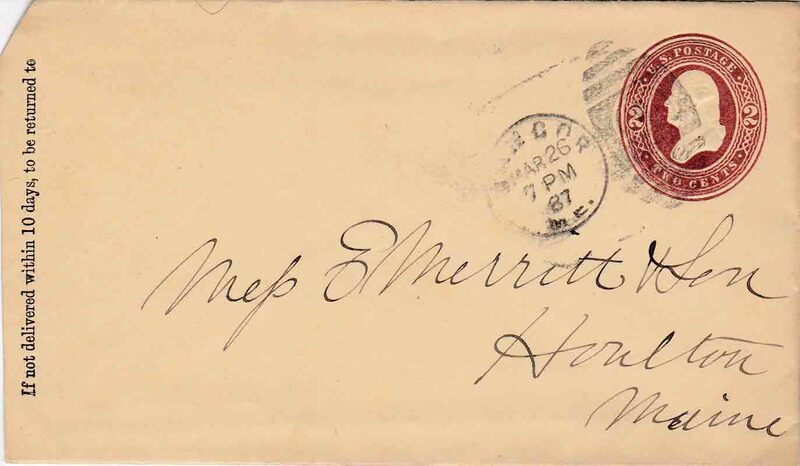 The circular postmark is 22–23 mm in diameter. 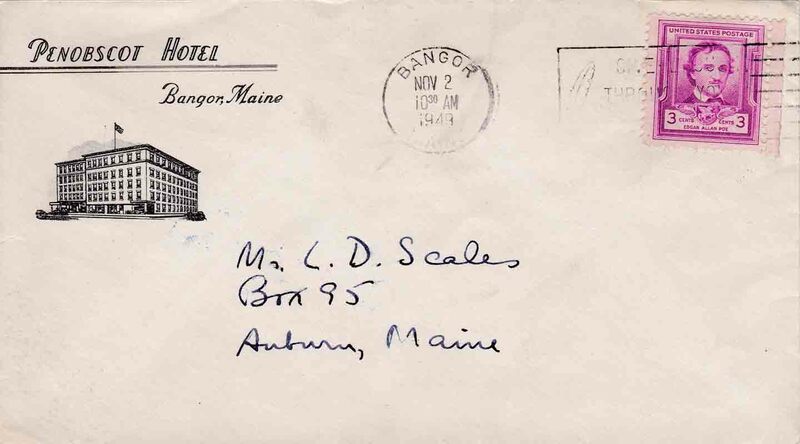 The rectangular postmark is 32 mm wide by 15–16 mm high. 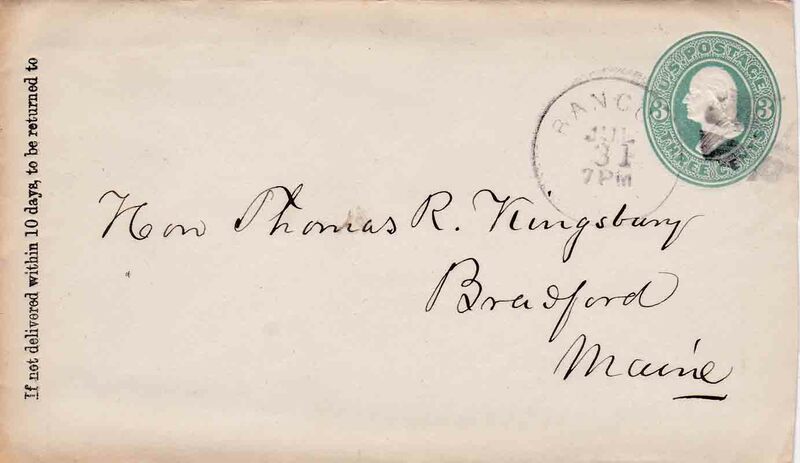 The six horizontal bars to the right of the postmark are 51–52 mm long by 15–16 mm high. 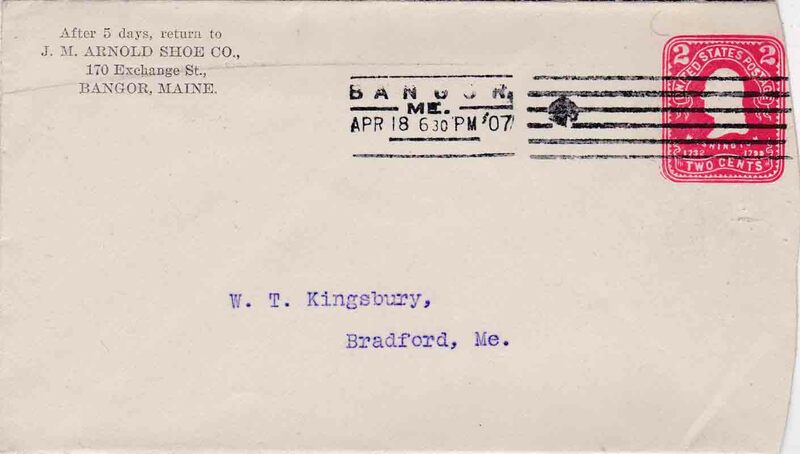 The rectangular postmark is 32 mm wide by 15–16 mm high. 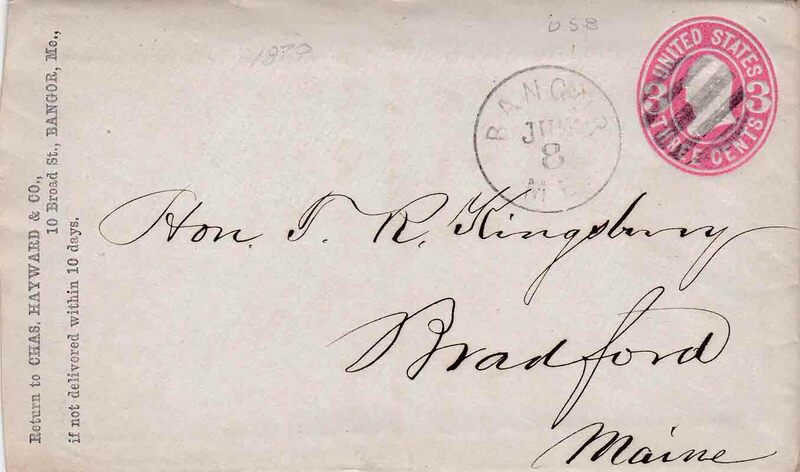 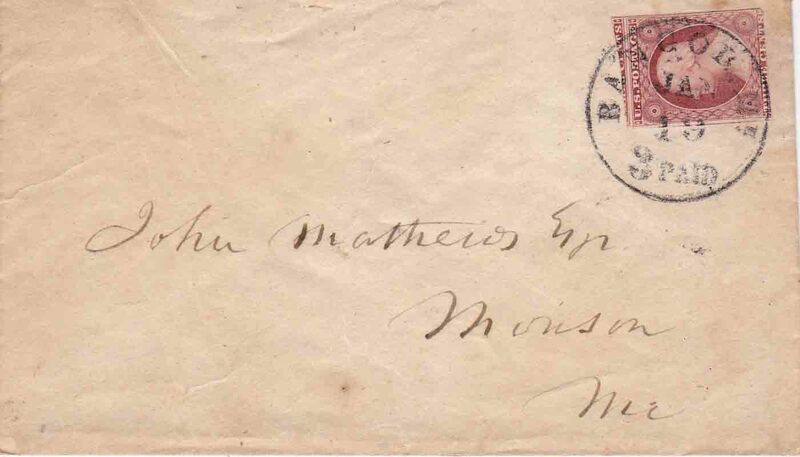 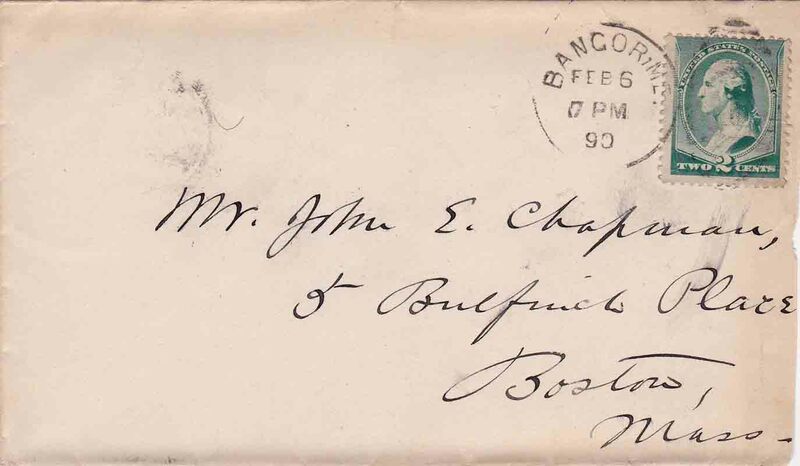 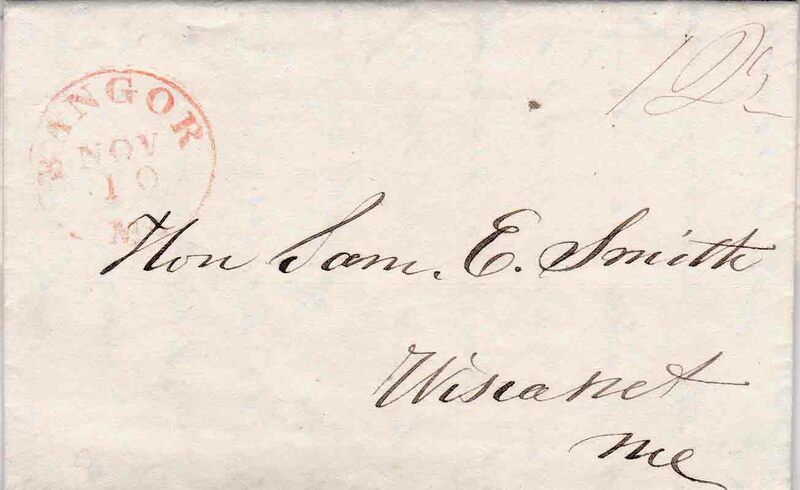 The six horizontal bars to the right of the postmark are 74 mm long by 15–16 mm high. 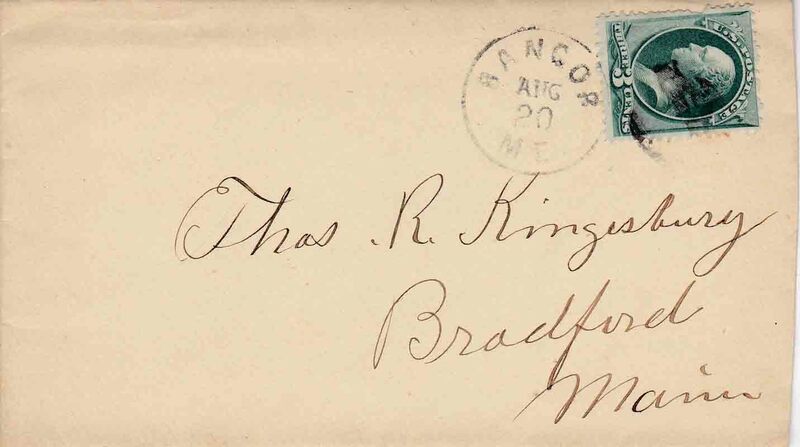 The circular postmark is 21–22 mm in diameter. 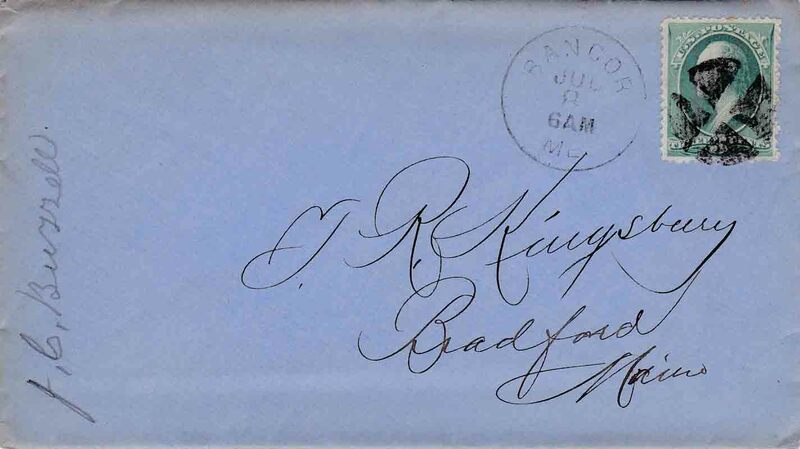 The circular postmark is 21–22 mm in diameter. 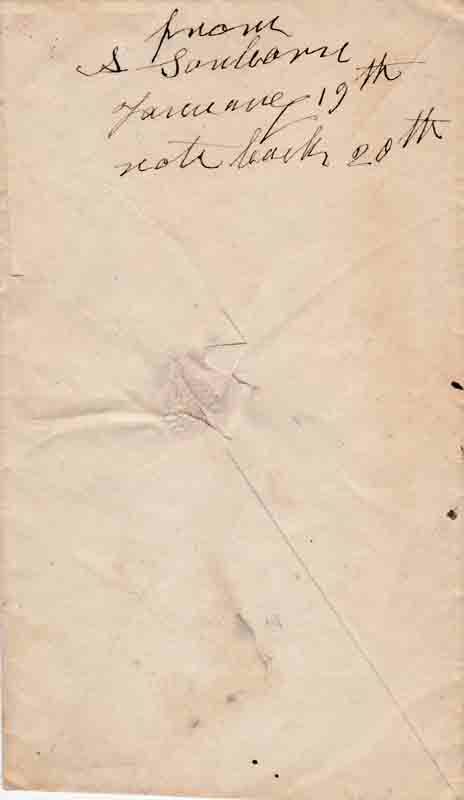 The rectangular box (minus the horizontal bars) to the right of the circle is 38–39 mm wide. 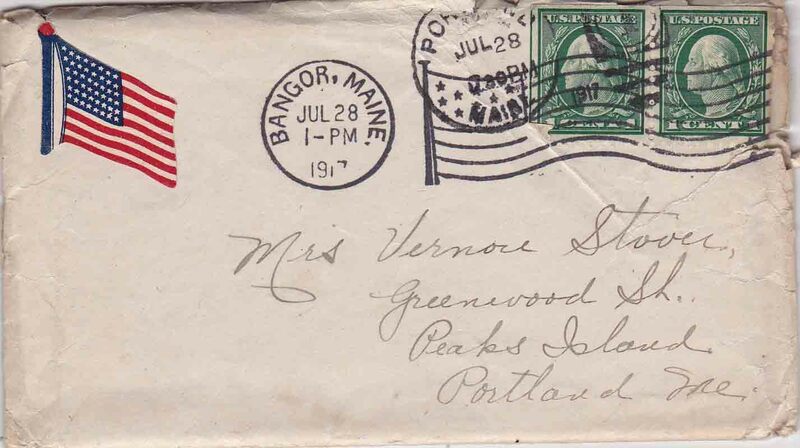 The circular postmark is 21–22 mm in diameter. 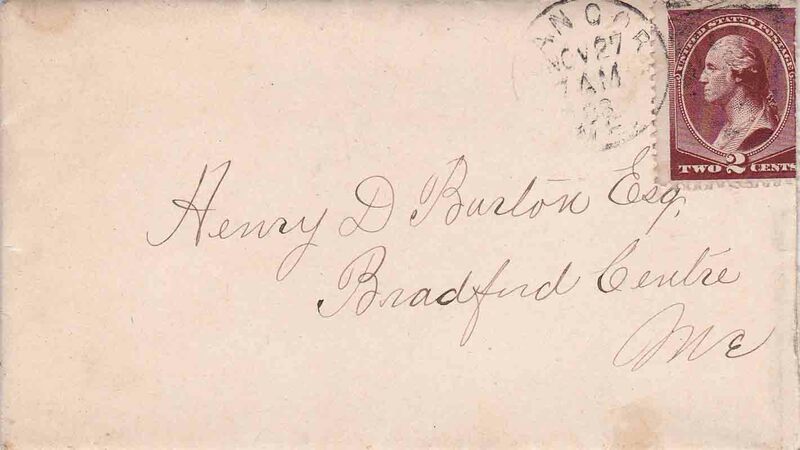 The rectangular box (“Always Use Zip Code”) to the right of the circle is approximately 49 mm wide by approximately 19 mm high. 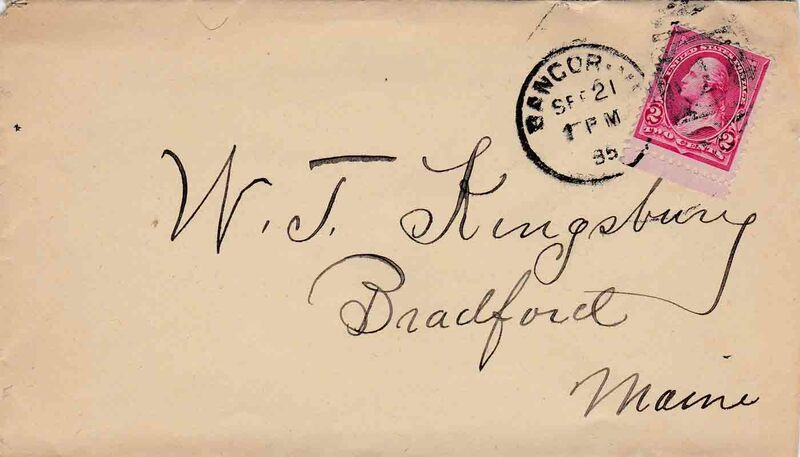 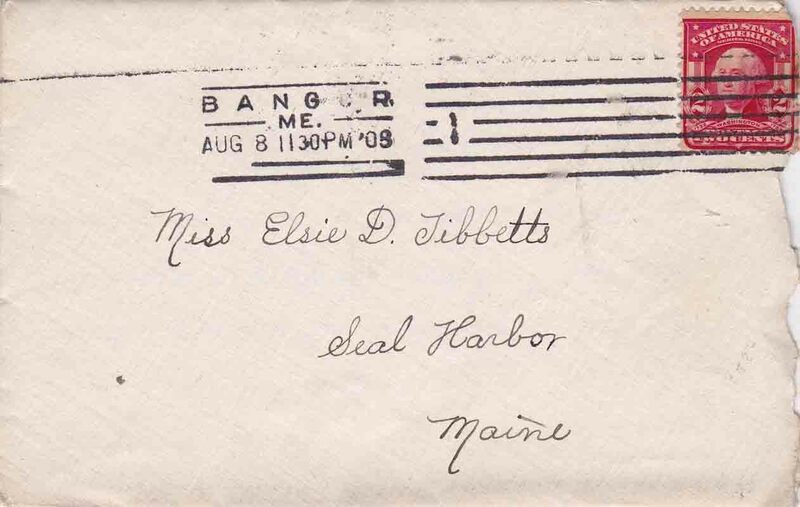 Bangor post office is still in operation.